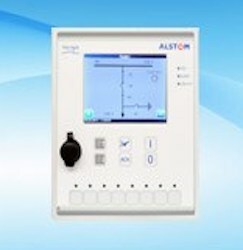 P60 Agile enhances Alstom Grid’s range of IEDs by providing a ‘One Box Solution’ for protection, control and monitoring of electrical power systems. The P60 range is suitable as main or backup protection for a wide range of typical applications and covers all common power system earthing arrangements such as solid, resistive, or resonant earthing and isolated networks. The colour touch-screen HMI with provision for bay mimic display and integrated control / interlocking functions maximises the application range of the P60 family. The fully programmable nature of P60 Agile makes it an extremely versatile and cost effective solution for all switchgear applications with varied protection requirements.